11 oz. 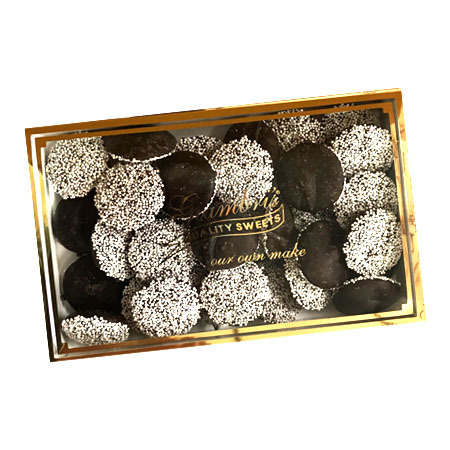 Box of Belgian Dark Chocolate Nonpareils - a customer favorite! Some things I just can't get on the west coast. 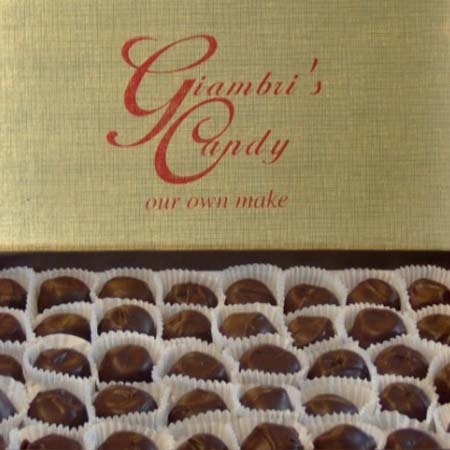 I usually treat myself to Giambri's candy only at Christmas, but decided I wanted to have Christmas in July, so I ordered the Dark Chocolate Nonpareils, as well as chocolate straws (can't get these on he west coast). 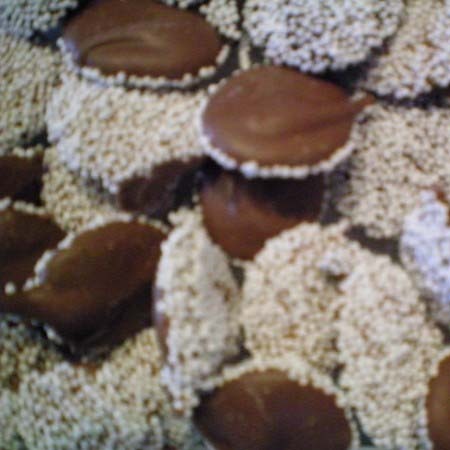 The candy arrived today and is delicious, as always. 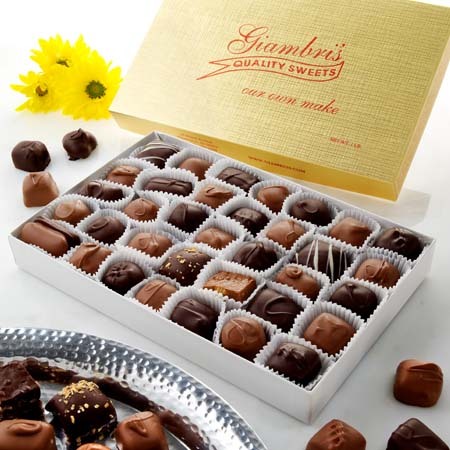 Thank you Gianmbri's!